The Prime Minister, Shri Narendra Modi addressing at the event to mark National Youth Day and Sarva Dharma Sabha at Belagavi, Karnataka via Video Conference, in New Delhi on January 12, 2018. New Delhi: Prime Minister Narendra Modi, today addressed two important events, via video-conference, on the occasion of National Youth Day. Addressing the Inaugural Ceremony of National Youth Festival 2018 at the Gautam Buddha University, Greater Noida, the Prime Minister began by congratulating ISRO on the successful launch of PSLV-C40. Our strides in space will help our citizens and will enhance our development journey, the Prime Minister said. He recalled that during Mann Ki Baat in December 2017, he had called for organising Mock Parliaments in the districts. Such Mock Parliaments will further the spirit of discussion among our youth, he added. The Prime Minister said that we are born after 1947 and thus, we did not have the honour to take part in the freedom struggle. But, he added, we have the opportunity to fulfil the dreams of the great men and women who devoted their lives for our freedom. We have to create the India that our freedom fighters dreamt of, Shri Narendra Modi asserted. The Prime Minister said that we want to make our youth job creators. They should be youngsters who innovate, he added. The Prime Minister observed that some people say that today’s youth does not have ‘Dhairya’ or patience. However, he feels, that in a way, this is what ignites an innovative zeal in our youth. It enables our youngsters to think out of the box and do new things, he added. The Prime Minister urged the youth to make sports a part of their lives. 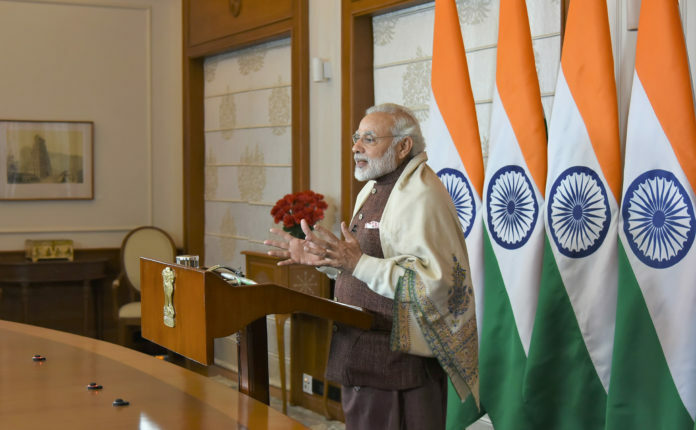 Addressing a programme to mark National Youth Day and Sarva Dharma Sabha at Belagavi, Karnataka, the Prime Minister said that Swami Vivekananda emphasised on brotherhood. He believed that our well-being lies in the development of India, the Prime Minister added. Shri Narendra Modi said that there was a lot of propaganda against India in the Western world that Swami Vivekananda proved wrong. He also raised a voice against social evils, he added. Some people are trying to divide the nation and the youth of this country are giving a fitting answer to such elements, the Prime Minister said. Our youth will never be misled, the Prime Minister added. It is India’s youth that is taking the Swachh Bharat Mission to new heights, the Prime Minister said. India has been home to several saints, seers who have served society and reformed it, he added. The Prime Minister said Seva Bhav is a part of our culture. All over India, there are several individuals and organisations selflessly serving society, he added. The Prime Minister exhorted everyone to work towards making our nation ODF.